Hey! With two successful CALs under our belts, let's round out the year with another fun one! Excitingly, this is a Holiday CAL and will be finished before Thanksgiving, so that you have plenty of time to finish and send your pieces before the December holidays. Did you know that the 2016 Across the Board Pattern Book is out? It is out and it is lovely! Containing six wonderful shawl and wrap patterns written by the CGOA Board of Directors, the e-book is absolutely free to CGOA members. These patterns are so pretty, and I can see crocheting each one for someone different. The only difficult decision is where to start! Well, you can start here with the Crochet Along! 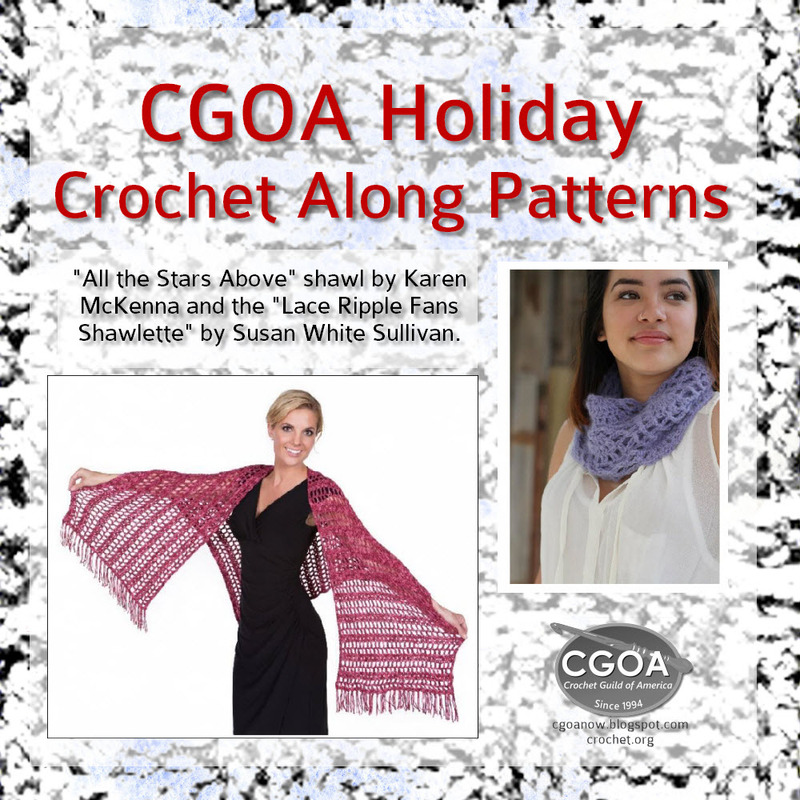 Over the next six weeks (October 1 - November 12), we will be crocheting both the "All the Stars Above" shawl by Karen McKenna and the "Lace Ripple Fans Shawlette" by Susan White Sullivan. You can crochet on your own, but why not join us? Check out the Ravelry thread or our Facebook group to chat, ask questions, and share your progress. We are psyched to see what you do! Share your progress on social media with hashtag #cgoaholidaycal. Link back to this post so other crocheters can join in. We're looking forward to crocheting with you. Sept. 26 – Intro post: CAL schedule, materials list, & prize list! Nov. 19 – Wrap up post / prize winner announcements. We are very fortunate that we have four excellent sponsors who are tempting us with five fantastic prize packages! At the end of the CAL, you can enter to win! 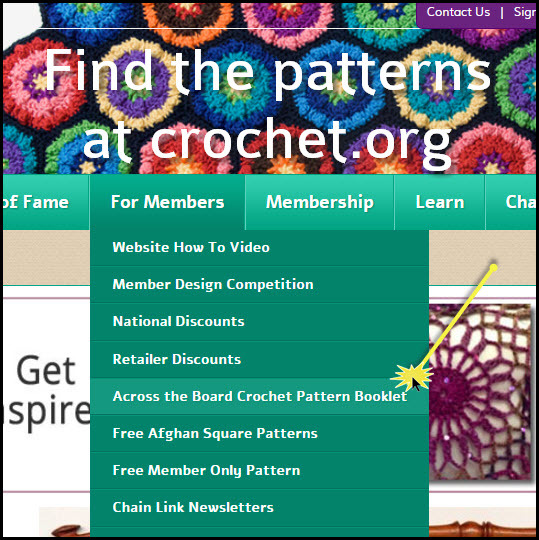 Next Steps: Download your copy of the CGOA 2016 Across the Board Pattern Book at crochet.org, join the CGOA facebook group, gather your materials and get ready to go! If you want to swatch, you can begin by swatching. Thanks so much to the rest of the CGOA Now! blogger team for their support, especially Stitches'N'Scraps for finding giveaway sponsors. I don't know about you, but I am super-excited to get this CAL going. Questions? 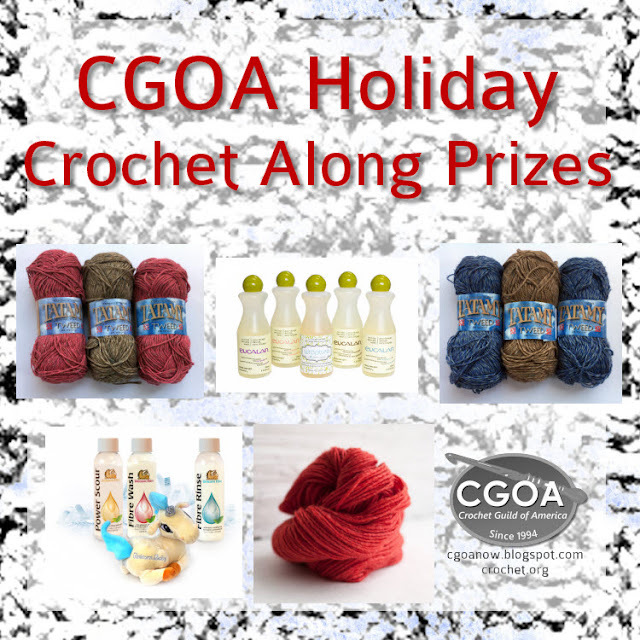 Leave a comment here on the blog, in the Ravelry thread, or on the CGOA facebook page! Do you want to connect on social media? I can be found on facebook, Instagram, and SnapChat (It's fun!). Join my newsletter about crafts, crochet, and education. 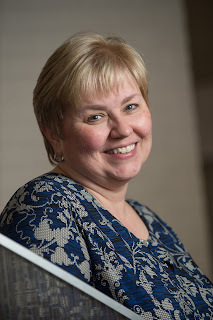 I'm Marie from Underground Crafter and this is the ninth post in my monthly series highlighting a member of the Crochet Guild of America with an interview. This month's interview is with Tamara Kelly from Moogly. Tamara is a crochet designer, blogger, teacher, and author. She's also a mom of three. She lives in Iowa with her husband and children. 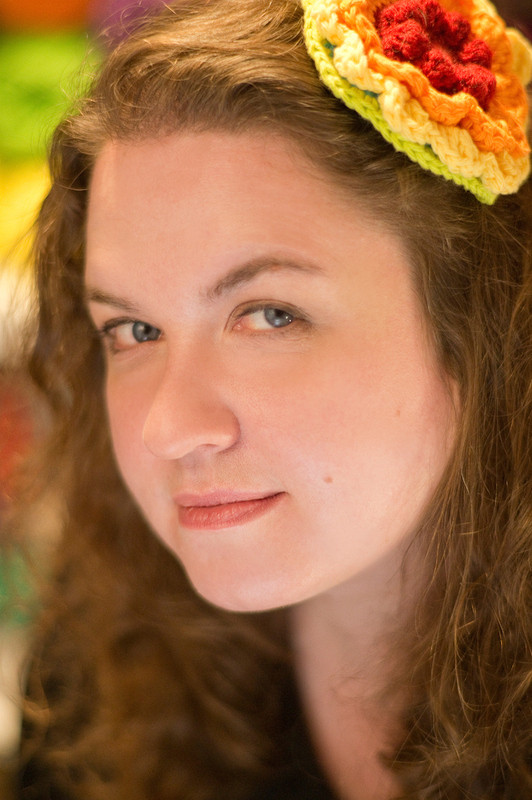 Tamara describes herself as "an unrepentant yarn addict," but then again, aren't we all? 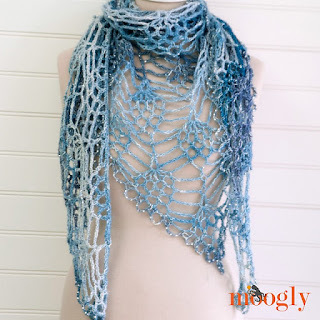 You can find Tamara on Moogly, or follow her on Facebook, Instagram, Pinterest, Ravelry, Twitter, and YouTube. Tamara is a Craftsy instructor, and you can get 50% off any of her classes using this link. All images are used with permission and are © Tamara Kelly/Moogly. Amelia Shawl, free crochet pattern by Tamara Kelly/Moogly. Tamara: I had been wanting to learn how to crochet for years (I've always been crafty! ), but this was back before YouTube. So I had to meet someone who knew how first! That turned out to be my sister-in-law! She taught me how to single crochet, and I was off and running from there! 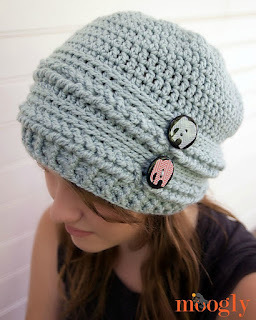 Ups and Downs Slouchy Beanie in 3 sizes, free crochet pattern by Tamara Kelly/Moogly. Tamara: I always sort of goofed around making my own stuff, but I didn't try actually writing anything down for several years. Even then it was a slow start - a dishcloth in 2008 was all I did until things really started to take off in 2011, and it became my full time job! 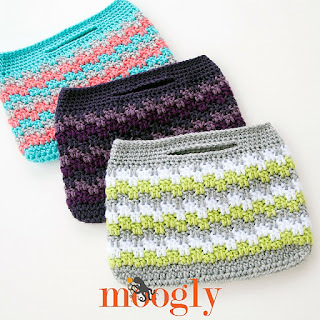 Mesmerizing Mini Bag, free crochet pattern by Tamara Kelly/Moogly. Tamara: I've been a member for about 2 or 3 years now - the time has flown by! My favorite thing is connecting with other designers, and going to the CGOA Conference! And I love doing my part to help spread the love of crochet! Amara Shawl, free crochet pattern by Tamara Kelly/Moogly. UC: You've gone to several CGOA Conferences. What are your favorite things about attending. Tamara: Oh gosh, where to start? I love meeting Moogly readers, taking classes to expand my skills, and meeting people who enjoy nerding out about crochet as much as I do! 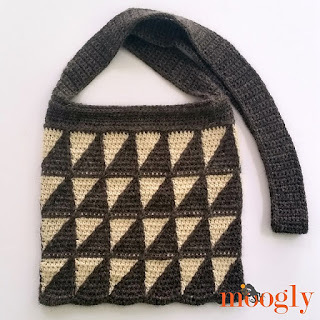 Capulin Cross Body Bag, free crochet pattern by Tamara Kelly/Moogly. UC: You also teach crochet. Does your teaching influence your designing? Tamara: Yes! Most of my teaching is done online - through Craftsy classes or YouTube videos. I learn a lot while teaching - even when it's just me and camera - and it influences how I word my patterns, and what techniques I include. 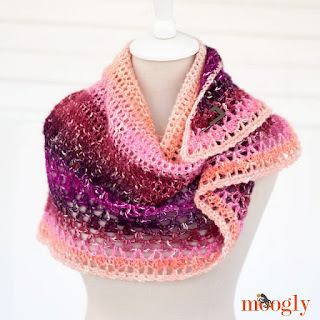 Modern Rose Afghan, free crochet pattern by Tamara Kelly/Moogly. Tamara: Blankets! Once I've got that repeat down, it's all sit back and relax! 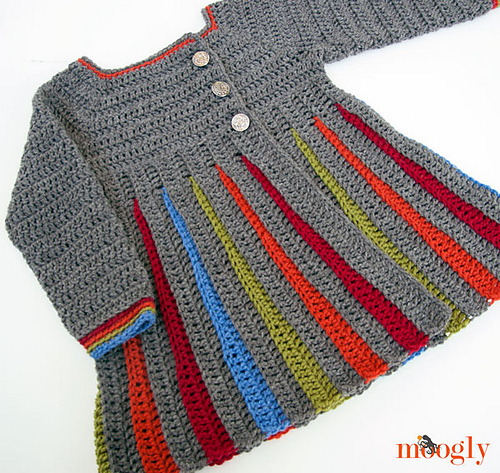 Eloise Girls Sweater in 3 sizes, free crochet pattern by Tamara Kelly/Moogly. You can get the Eloise Baby Sweater in 5 sizes here. Tamara: Sweaters! So. much. math. 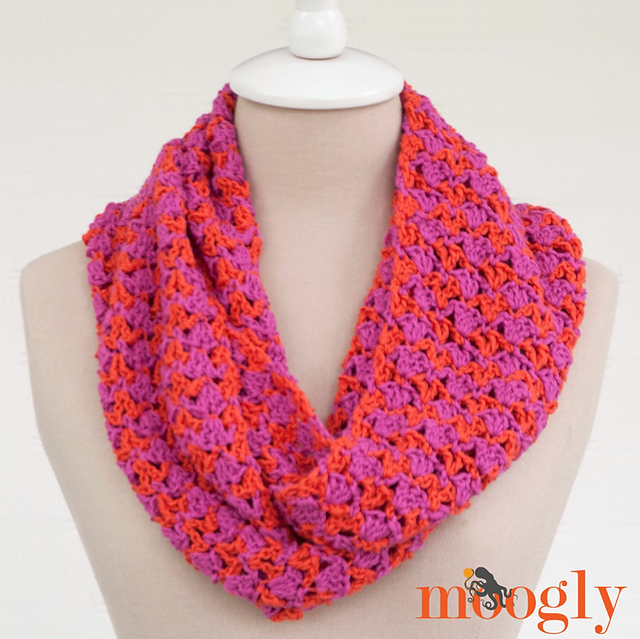 Shannon Infinity Scarf, free crochet pattern by Tamara Kelly/Moogly. Tamara: Tote bags and infinity scarves - they are guaranteed to fit! 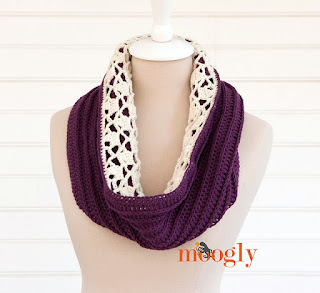 Snow Drops Reversible Cowl, free crochet pattern by Tamara Kelly/Moogly. Tamara: This year my husband is going to be joining me to work on Moogly full time as well! We're hoping that this will only increase the quality level, and free me up to do some more projects and expand even more. Once we get the new office remodel in the basement done that is... I'll also have a book coming out this year - assuming all goes according to plan! 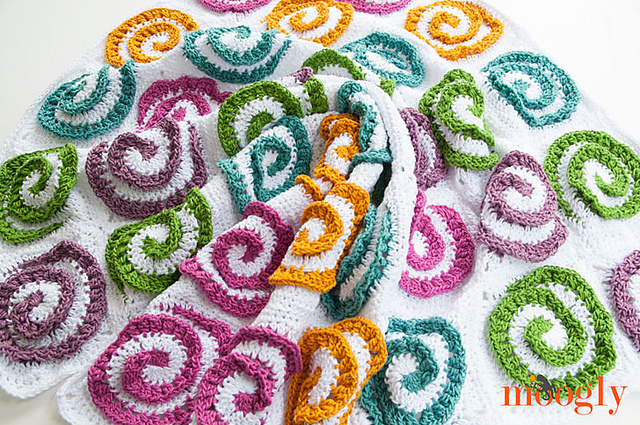 Thanks for sharing your love of crochet with us, Tamara! Do you like to create your own designs? Or maybe you like to work with existing patterns, but change them up a bit? If so, this book is for you. 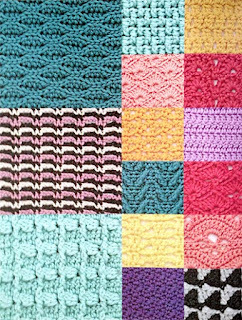 Most of these designs can easily be used to make squares or rectangles for blankets, washcloths, scarves, cowls, and more. 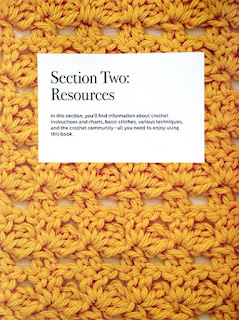 The introduction section has everything you need to get started personalizing patterns or even designing from scratch. 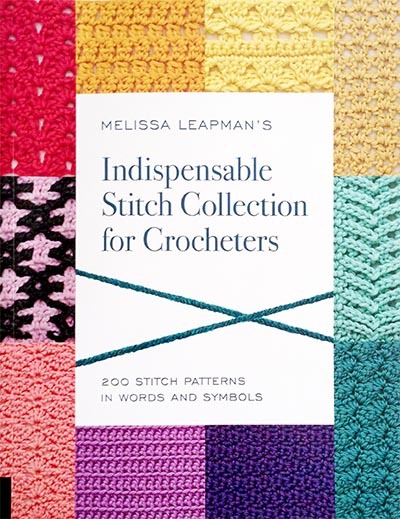 It includes tips on reading the stitch pattern charts, incorporating the stitches into projects, and shaping your projects without interrupting the pattern. The 200 stitch patterns are divided up into categories - Simple solid patterns, shell and open fan stitch patterns, openwork and lace patterns, textured patterns, colorwork patterns, and edgings. Each stitch pattern includes written instructions and charted instructions. The stitch multiples are also clearly indicated so you can easily adjust the edges as needed to fit your project. Some stitch patterns are reversible, and are marked as such with a special icon. 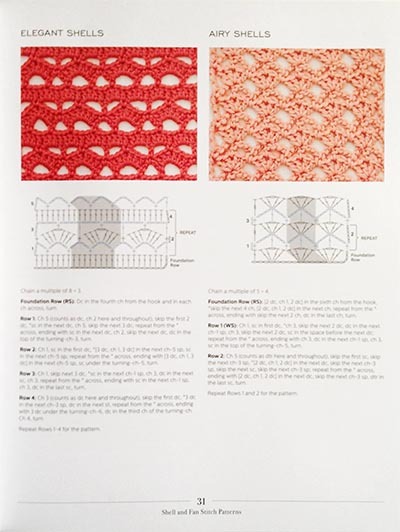 At the back of the book is a reference section, containing detailed diagrams for all of the basic stitches and techniques used in the book. It also includes abbreviations used, standard symbols, and more information on reading the stitch diagrams. You can win your own copy of this wonderful book, provided by the publisher, Creative Publishing International. To be eligible, you must be 18 years of age or older, with a valid, US or Canadian shipping address. The winner will be contacted by email, and must reply to that email and provide the shipping address within 1 week in order to receive the prize. If the winner does not reply within 1 week, a new winner will be selected. 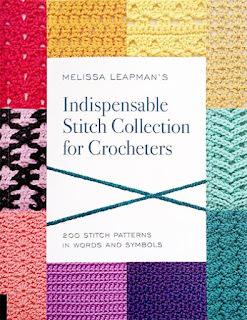 Disclaimer: A free review copy of Indispensable Stitch Collection for Crocheters was provided by Creative Publishing International. Although I accept free products for review, I do not accept additional compensation, nor do I guarantee a positive review. My reviews are based entirely on my honest opinions. All images of copyrighted material are used with permission. 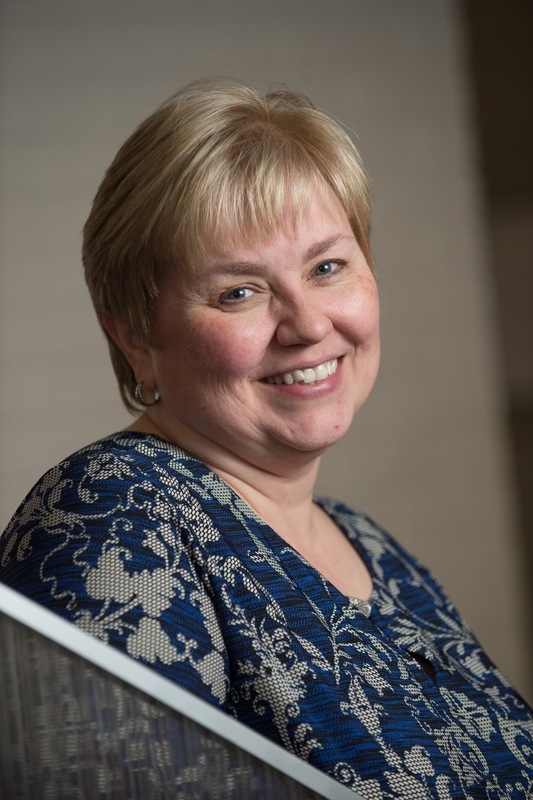 Getting to Know You - Jenny Brigham! How did you learn to crochet and when? Both my mother and my grandmother did a number of crafty things such as knitting, crocheting, embroidery, sewing, and quilting. They taught me to do all of them, but crochet is the one that really stuck with me. It wasn’t until college that I really got going on making blankets and scarves, so I’ve been actively crocheting for about 30 years now. I’m right-handed and I hold my hook like a knife. I’ve tried to do the pencil hold but it just doesn’t feel right to me. I don’t have a favorite hook, though I’m partial to wooden hooks. I’ve been trying out some of the ergonomic hooks but haven’t found a favorite one yet. I do prefer the tapered hooks rather than the inline hooks. I crochet with just about every type and size of yarn, though I don’t much care for using the bulkier yarns. My favorite is lace weight alpaca and alpaca blends. I also enjoy doing thread crochet. 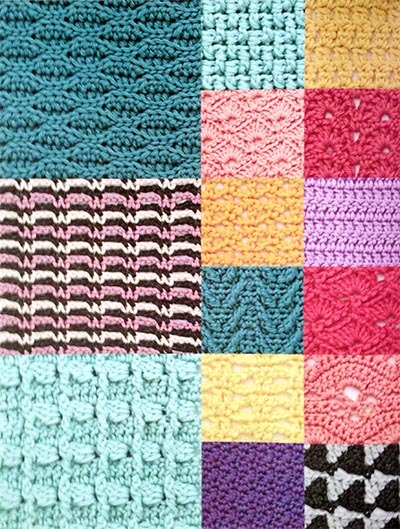 What is your favorite crochet stitch, and why? It’s easier to tell you what my least favorite crochet stitch is….Catherine wheels. For some reason I struggle to get them correct. Do you prefer a written pattern, a chart, or both, and why? My preference is a written pattern, though I find charts very handy for the more complex sections of a pattern. It’s so helpful to be able to visualize how something is supposed to look. What is your favorite item to make and why? I enjoy making all sorts of different things; blankets, stuffed animals, doilies, shawls, tablecloths, cowls, scarves, cat beds, ponchos, towels, etc. 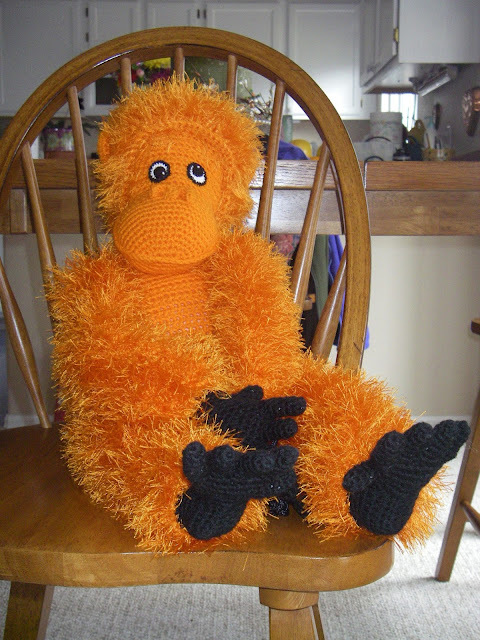 Probably my favorite project I’ve ever made was the first stuffed animal I made for one of my grandsons. It’s a stuffed orangutan that we named Otis. I crochet mostly for my friends and family, for charity, and occasionally for myself. 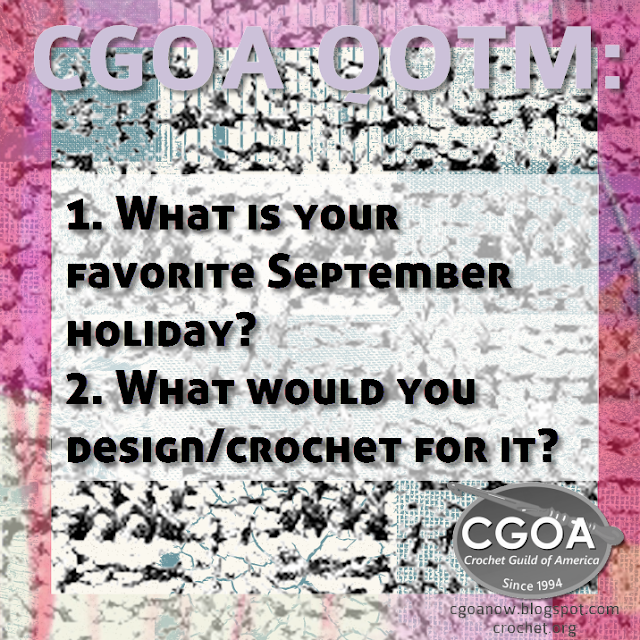 How long have you been a CGOA member, and what is a fond memory from a CGOA Conference? I’ve been a member of CGOA for 3 years. My first CGOA conference was in 2014 in Manchester, NH. What a wonderful introduction to CGOA it was! I took classes from Susan Lowman and Jenny King, and I met so many other wonderful people. It was the 20th anniversary celebration that year and I won one of the large door prize gift bags at the banquet. It was stuffed full of patterns, yarn, and fiber wash. The very best part of that conference though was being matched up with a Buddy. My buddy was Susanna Tobias. We hit it off and are now close friends. There wasn’t a CGOA chapter near to where I live so I started one. 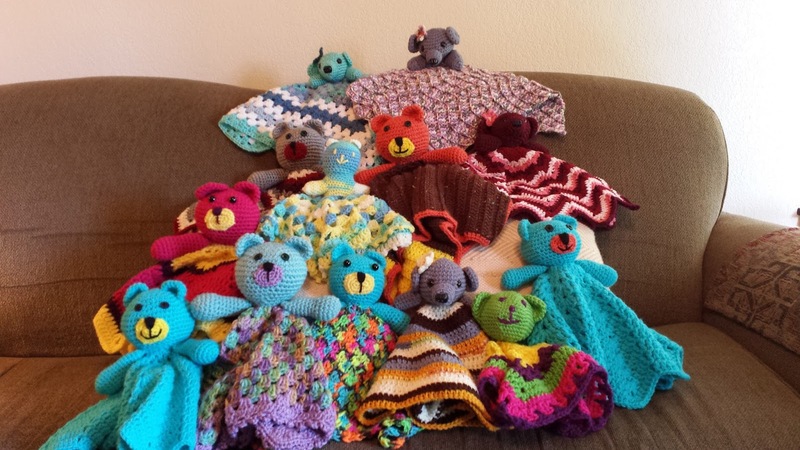 The Crochet Guild of Northern Colorado came into being in January 2016. We have about 20 people who participate regularly. We have a monthly meeting, usually on a Saturday or Sunday, when we talk about guild business, plans for charity projects, show off our completed projects, help each other, and share ideas. We also have evening get-togethers once or twice a month that we call Crochet & Chats. Those are casual evenings at a local coffee shop, restaurant, or library. 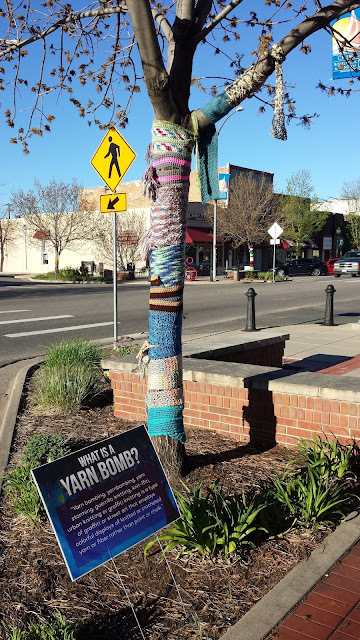 Earlier in the year we made and donated 50 scarves to a yarn bombing. It was a “pop-up” art installation that the town of Windsor, CO did for Arbor Day. We made scarves that were displayed on trees along the main street of Windsor. The scarves were then donated to local homeless shelters. For World Wide Knit (and Crochet) in Public Day in June we spent the morning crocheting at a local coffee shop. 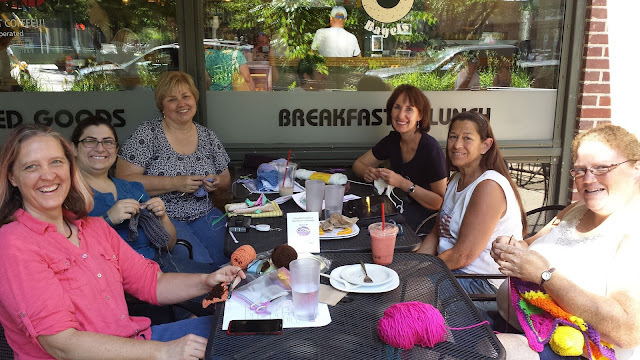 At our July meeting we had our first yarn swap that we called “Christmas in July.” Everyone left with new-to-them yarn to play with. 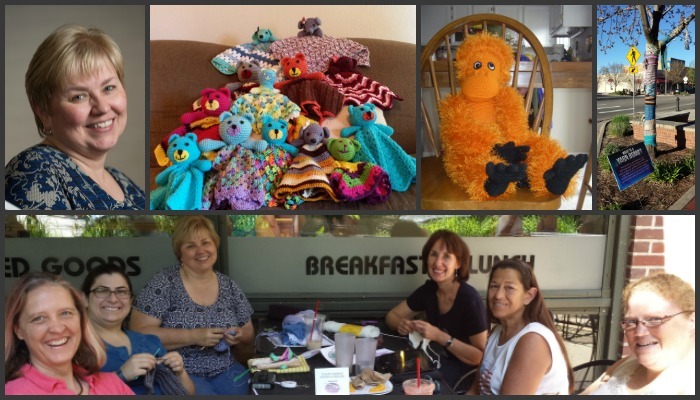 Our current charity project is making teddy bear loveys (part blanket, part stuffed animal) for an organization called Life for the Innocent. They work with kids in Southeast Asia who have been impacted by human trafficking. Life for the Innocent currently has about 700 kids in foster homes and they have asked for teddy bear loveys as Christmas gifts. One of our guild members works with Life for the Innocent so she connected us with the organization. Our chapter has committed to making 100 loveys by November 1. We’re about half way there! · * Share information on stores, sales, fiber festivals, workshops, etc. · * Discussions on pros and cons of different types of fiber, stitch markers, hooks, websites, blogs, etc. · * Have someone to celebrate with when you complete a big project! Each meeting is like getting together with old friends, even though I’ve know them all less than a year. 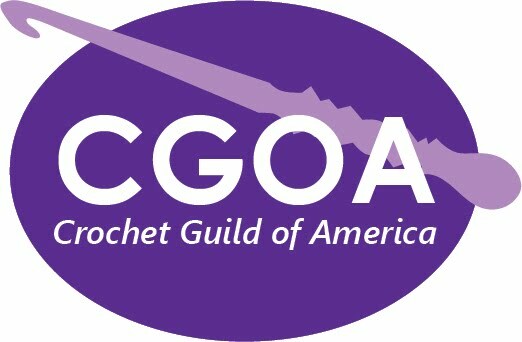 I just recently earned my CGOA Masters of Advanced Stitches & Techniques, and am now starting on the Craft Yarn Council’s Certified Crochet Instructors program. I have also started doing some contract crocheting, and hope to branch out into tech editing patterns. My biggest goal though, is to get busy on all of the projects that I have patterns and yarn for, but just haven’t started yet! Thank you for sharing with us Jenny, it's been fun "getting to know you"! As September arrives we're rounding the corner into the fourth quarter of 2016. Can you believe it? In a few short months we will be ringing in a new year. September is both the calm before Thanksgiving and the December holidays, and the very month of the Jewish high holidays. As always, there's a lot going on, and a lot to plan for. Thinking about holidays brings us to this month's question, in two parts. 1. What is your favorite (traditional or wacky) September holiday? 2. What would you design or crochet for it? For a comprehensive list of both traditional and unexpected September holidays, check out the Brownielocks page here. I'll get the ball rolling. Well, according to Brownielocks, the 23rd of September is Love Note Day. To celebrate, I will crochet Sarah London's beautiful Fancy Hearts pattern in thread and send it in a sweet note to a loved one. "As a school bus driver, when the kids return to school, so do I. I treat it as an opportunity to learn a new stitch or two, and incorporate it into a pattern which eventually turns into something pretty good. When we drivers go on our afternoon shifts, usually we sleep, eat, read, or listen to music. I bring a bag with a "smalls" project that is usually for my stock of finished items that I bring to craft fairs, and I work on them. Or I would be consulting my calendar for possible craft fairs I would be doing. Or working on lesson plans for private lessons. School is very inspirational for my work. I run a grass roots charity for The Home on the Hudson, it's a beautiful facility for the elderly volunteer firefighters and their spouses. Bringing homemade blankets, lap warmers, caps and scarves, shawls are showing my appreciation for the sacrifices they did back in the day. So far I donated over 100 lap warmers, and developed a very simple pattern I will publish in Ravelry. My husband was diagnosed with Multiple Myeloma back in March. So to keep me focused, and relaxed, I turned to stitchery and crochet. I plan to make to donate simple caps to Mount Sinai Hospital cancer treatment center, and to Long Island Hematology in Syosset, as a thanks for helping my husband fight this disease. He's doing great btw, we are getting ready for his final hurdle, extraction of stem cells, a treatment to wipe out his bone marrow, and the transfusion of his improved stem cells to completely wipe out the cancer, and to allow good blood, bone marrow growth, and his bones to thicken and strengthen. I got a lot of worries, I am thankful for this hobby in keeping me sane and calm throughout this process. Namaste!" In the Cyber Crochet of CGOA Group on Ravelry, TK-Arts told us she wants to get back to designing! "With summer winding down, I’m really anxious to get back to work on my designs. I had declared a halt to people showing up to visit at the last minute, but the kids are a different story……. ;o)"
I love love love love love hearing from you, so let's keep the conversation going. Which holiday, wacky or serious fuels your September fire? And what will you crochet for the occasion? 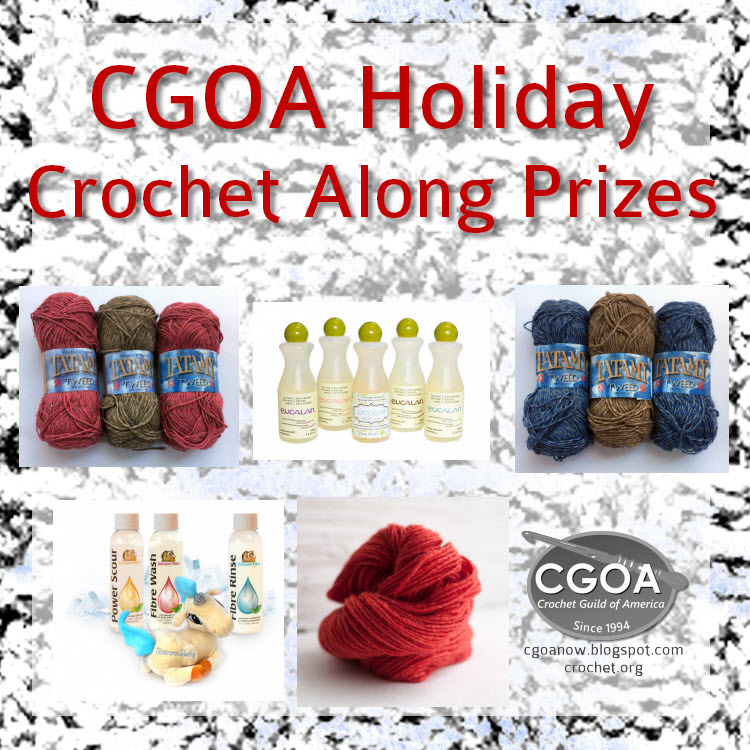 Please leave a comment here on the blog, or on the CGOA facebook page! Do you want to connect on social media? I can be found on facebook, Instagram, and SnapChat (It's fun!). Join my newsletter about crafts, crochet, and education.